We have broken the front body holder of a Ferrari 430GT body for Mini-Z MR-03 model, so we had to either find a new replacement or make one ourselves. 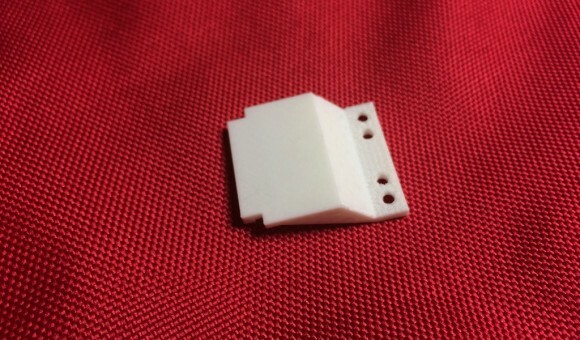 So here is a replacement 3D printable front body mount for the Ferrari 430GT body for Kyosho Mini-Z RC models. You can print and use this replacement if your stock front body mount breaks like in our case and you cannot find an original replacement or don’t want to wait for such to arrive. The body holder should be a perfect fit and provide enough strength and durability, just like the original. We recommend to use 0.1mm layer height for best results and the use of support structure as some part of the body mount is in the air and it will not be useable if don’t use supports. This is 3D printable replacement front body mount for the Audi R8 LMS bodies for Kyosho Mini-Z RC models, originally the R8 body is for the AWD series, but it can also fit on MR-02 or MR-03. 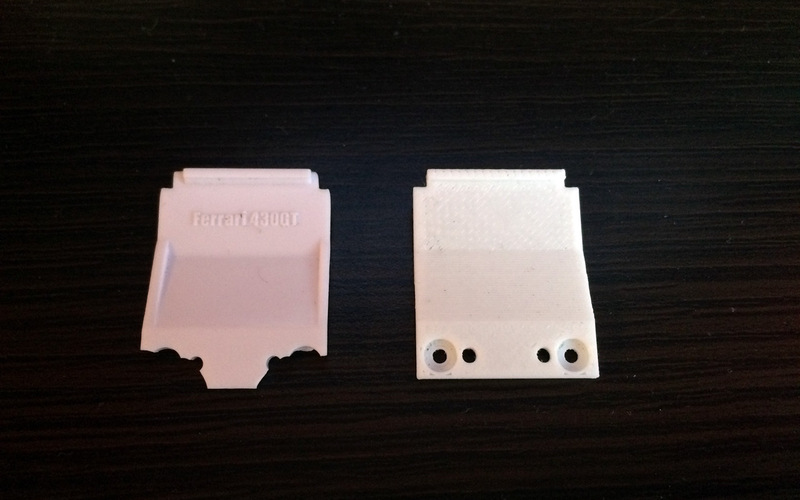 You can print and use this replacement if your stock front body mount breaks and you cannot find an original replacement or don’t want to wait for such to arrive. The body holder should be a perfect fit and provide enough strength and durability.